Whether you call it a nightstand, bedside table or bedroom pedestal, this useful item is equal part storage and surface. While they are most frequently used in bedrooms, pedestals can also be used in just about any other room of your home, too. They can double up as side tables in a living room. They can store bathroom supplies or office goodies, too. Just the right size to keep a few basic essentials in easy reach, these useful stands offer plenty of storage without taking up too much space. A simple cupboard style pedestal will keep your bedtime essentials safe in a way that is discrete and subtle. Many units in this style offer two or more deep shelves that are hidden behind a cupboard door. Some may also offer drawers within the units itself, while others may have a single spacious cubby. Look for units that blend into your overall decor style, in neutrals such as white and wood, for a modern yet simple look. No space for a traditional bedside table? For smaller rooms, university dorm rooms, teen bedrooms and other spaces that lack space, a hidden pedestal is a great choice. This type of unit is made to hide discretely behind a bed or alongside a table, dresser or desk. 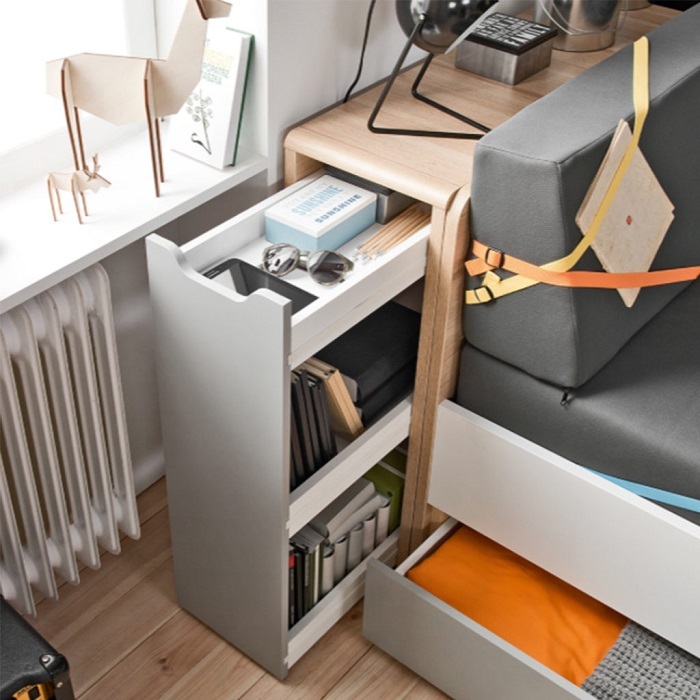 A pull-out drawer reveals a surprisingly spacious storage unit that can be hidden when not in use. Storage cubes are an incredibly versatile option that works well for bedside tables, makeshift bookshelves and various other storage systems. What makes this type of storage an excellent choice for just about any space is the ability to mix and match your storage according to your needs. If your bedroom or home is on the smaller side, you can stick to one or two cubes. If you have a large space, you could create a longer or taller unit by arranging cubes of different sizes. Open storage is also a creative choice for those wanting to display decor, books or other objects. A classic, simple drawer unit will work well in any space, regardless of the size or decor style. If you prefer to keep things down to the bare minimum, a small nightstand that has a single drawer for the basics such as phones, medication, chargers and a book or two will be just right. For best results, choose a stand that suits the look of your bed and bedroom storage to ensure a seamless look. Ready to find your dream pedestal? 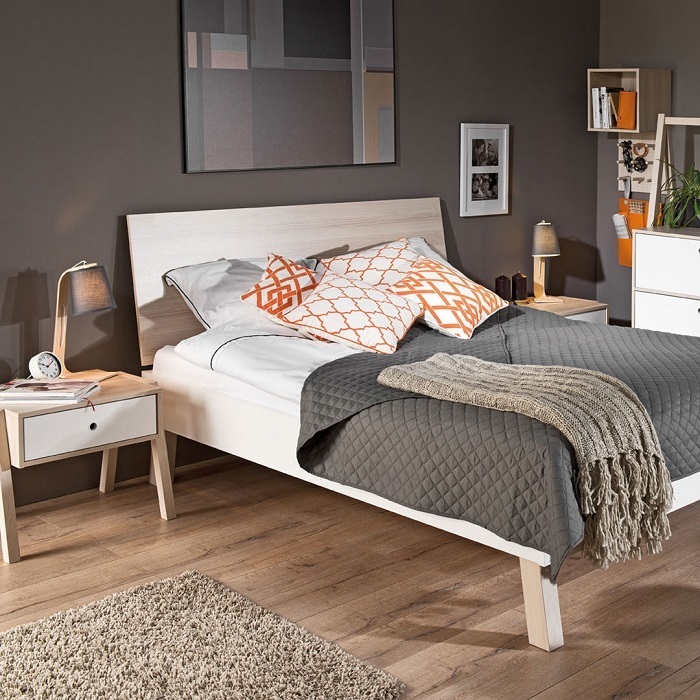 Head on over to the VOX online store to shop our bedroom pedestal range.